The United States of America’s federal system of criminal law is one of, if not the most, extensive in the world. Its jurisdictional reach, in certain circumstances, extends all the way to the Moon. The offending behaviour the US Federal system criminalises, and provides heavy prison sentences for, extends on one hand from acts of treason right though to unauthorised use of the Department of Agriculture’s Smokey Bear character. Whilst the streets of San Francisco might seem a long way from those of Sydney, modern means of business, commerce, and trade mean that an ever-increasing number of people are frequently engaged in cross-border dealings that, in effect, drastically reduce the distance between the two nations. However, if things were to turn awry in such activities, many Australians may not have considered the serious possibility that they could, without ever setting foot on American shores, be extradited to the United States to face criminal charges. Could an Australian be surrendered to the United States without having physically visited its territory? In fact, this has happened before. In the case of Griffiths (on charges of conspiracy to infringe copyright and infringement of copyright) the Federal Court of Australia held that the mere fact that the accused carried out all relevant acts whilst physically in New South Wales was no bar to his extradition. Specifically, there is nothing in the Extradition Treaty between Australia and the United States, or in Australia’s Extradition Act expressly providing that the physical location of the acts in question are a hurdle to the legality of extradition. However, this is not necessarily to say that an Australian could be extradited to the United States to face any criminal charges. Whether this is a likely outcome will depend on a multitude of factors in any given case. In reality, the potential factors that could influence whether an Australian would ever be put to trial in the United States are numerous. Some potentially relevant factors are considered below. The starting point in any such analysis is the nature of the offence/s charged. Although nations traditionally have exercised jurisdiction over acts committed in their physical territories, the United States is not the first country to expand the reach of its criminal laws beyond physical borders. One origin of this type of action is the treatment of the crime of piracy under international law – pirates historically operating outside the territories of nations and deemed “the enemy of all mankind” under international law – an offence which historically has been triable by a nation regardless of a lack of territorial connection. Although most Australians will have no involvement whatsoever in piracy, the fact remains that extraterritorial (extending beyond the nation’s physical boundaries) jurisdiction is not a novel concept to legal systems around the world. Perhaps a more relevant offence to consider is that of conspiracy. Conspiracy – the entering into an agreement to achieve some criminal end – can quite conceivably be committed in a location which is quite physically remote from the place where the intended results of that agreement will become manifest. This is one of the offences for which Griffiths (see above) was extradited to the United States. In that case, the Federal Court took account of a host of decisions recognising that conspiracies can be tried by the jurisdiction where its intended results are to be realised. So, for example, a businessperson working from Melbourne in a global company who conspires with United States counterparts in New York to make false demands against the United States (even if they did not personally make such demands) cannot escape trial by hiding behind the ‘security’ of operating only from their computer and phone in Australia. Conversely, other offences do not attract such a broad jurisdictional reach. For example, a person acting from Brisbane who produces forged British bank notes, whilst likely susceptible to be tried in Australia, could not face prosecution in the United States. A related but distinct consideration, irrespective of the geographical reach of a particular offence, is that of dual criminality. This concept has been explained by the High Court of Australia as meaning that “extradition is only granted in respect of an act or omission which is a crime according to the law of the state which is asked to extradite as well as of the state which demands extradition.” In other words, the act/s in question must constitute a crime in both Australia and the United States. The requirement of dual criminality is not unique to extraterritorial cases: it applies in all extradition matters. Nevertheless, this issue would remain at the heart of any extradition dispute relating to conduct physically foreign from American shores. In many instances, offences under Australian law do align to equivalent crimes in the United States. However, this is not always so. Fundamental differences in the two nations’ approaches to regulation of issues such as gambling and the financing of health care etc. have the potential to jeopardise the satisfaction of dual criminality in particular cases. If not, consider the location of the conduct which forms the ‘focus’ of the law in question, in order to “determine whether the case involves a domestic application of the statute”. However, these cases considered civil (i.e. not criminal) laws. 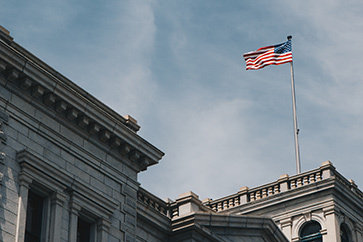 Against this backdrop commentary has noted that lower courts in the United States have still tended to rely on older case authority (United States v Bowman) to hold that the nation’s federal criminal laws have extraterritorial application. Whether a change in this approach may be engendered by the Supreme Court in the future remains to be seen. What is clear at present however is that Australians engaged in cross-border interactions with the United States should remain mindful of the fact that the expanse of the Pacific Ocean may provide no obstacle to their being ensnared for violations of United States criminal laws. Nyman Gibson Miralis specialise in complex extradition matters involving multiple jurisdictions. Contact us if you require assistance.